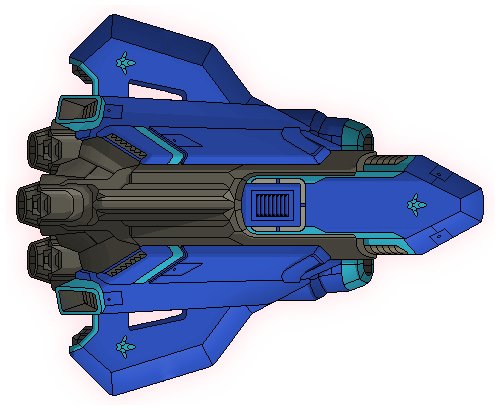 Ladies and gentlemen of the FTL forums, allow me to present: The Indomitable Cruiser! While not my first mod, this is the first mod that I feel is balanced and polished to a degree where I am happy to post it. As such, any suggestions for balance changes would be appreciated.I tend to try and avoid making overpowered ships to such an extent that they end up being underpowered, and while I try to build ships around novel strategies (because otherwise why not use the stock ships?) they do sometimes turn out somewhat gimmicky. The mod comes with three custom hull images (one for each ship variant), custom room images, floor images and the like. It doesn't change the game in any drastic degree so should be compatible with pretty much everything. 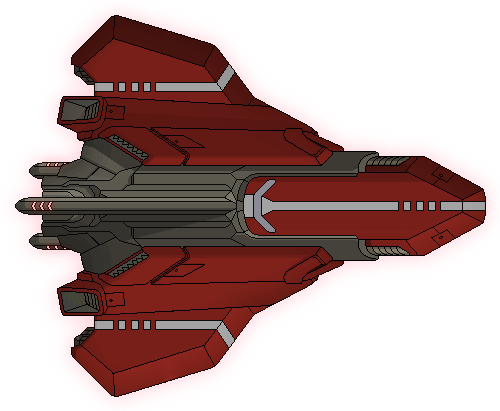 The cruiser comes in three flavours, all of which replace a variant of the Kestrel Cruiser and all of which have different drone-centric strategies. Standard attack drone and hull beam. Time the beam shots with the drone to deal damage. Standard attack drone and beam drone II. Also has a repair bomb, as the drone bay is disconnected from the rest of the ship. You can attempt to manage the timing of the drones through powering and de-powering them. Or just pray. Lanius crewmember and boarding drone. Breach with the drone, follow with the Lanius, drain the oxygen, laugh sadistically. Last edited by SentryJumper on Sat Dec 03, 2016 10:09 am, edited 5 times in total. Just looking at the images, how are you meant to survive if you only get 4 drone parts from the start and have to use 2 every fight to have a chance at winning? If there's a drone recovery arm you might want to mention that. They do all have the recovery arm. 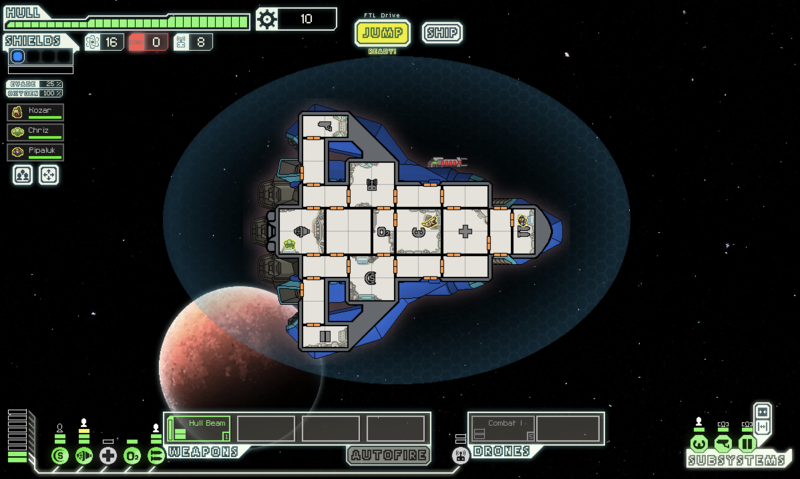 I'm not actually sure it works with the boarding drone in type C, but I never ran out while testing it. I'll add it to the description. Yeah, Drone Recovery Arms only work on the orbiting drones, not the Personnel Drones. Also, be very careful with separated rooms - crew can get stuck if they stop while in transit inside. 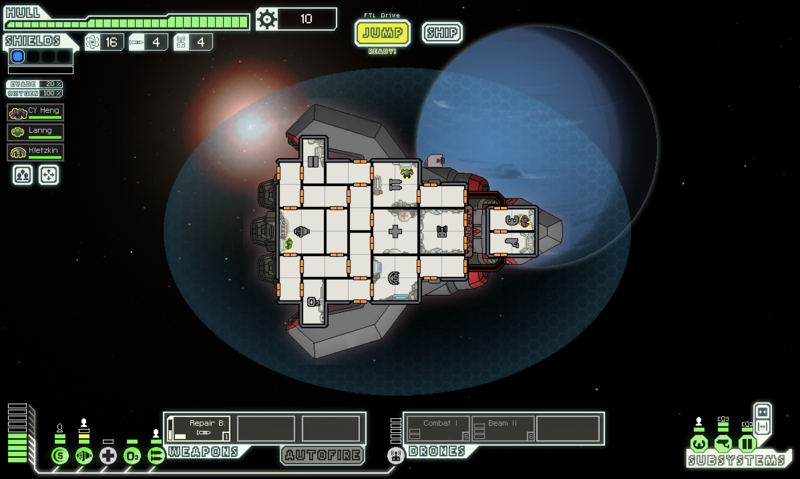 The Type C sounds like it can't do anything against AI ships, especially those where it can only attack one room, unless you depower the drone and have the Lanius slowly destroy everything else to 1HP then power up the drone to deliver the final shot. Those are some sweet custom-made hulls! I've created Type C Hulls for the enemy Mantis, Slug, Rock, and Zoltan ships, and anyone can use these for a mod. stylesrj wrote: Also, be very careful with separated rooms - crew can get stuck if they stop while in transit inside. The current layout is a result of finding that out during a test run; originally the pilot was meant to connect from one side of the drone bay to the other as if the path went underneath it. There were some... interesting test runs. That being said, I had to select the drone bay while the crew were crossing for them to get stuck. Do other things (say, returning to stations while crossing) get them stuck as well? stylesrj wrote: The Type C sounds like it can't do anything against AI ships, especially those where it can only attack one room, unless you depower the drone and have the Lanius slowly destroy everything else to 1HP then power up the drone to deliver the final shot. 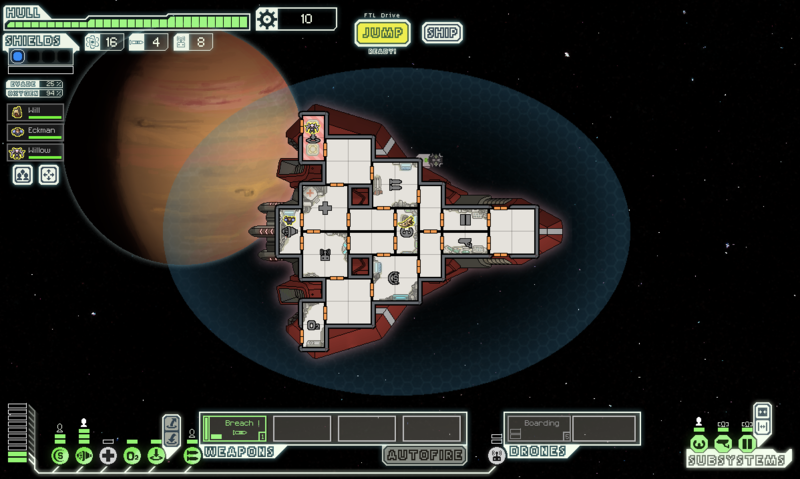 Against AI scouts, you don't have to depower the drone - the Lanius and drone working together can take it down reasonably quickly if you pull the Lanius out in time. Against AI assault... yeah, its the Mantis B all over again. Which was kind of the point (for balance reasons), but it can get tedious. elijahdb wrote: Those are some sweet custom-made hulls! Thanks! The hull images are half the fun in ship modding, I find. Thanks - those comments mean a lot from other hull modders . In a way, that's actually why I was worried about balance - the hull images are probably the best part of my mods, and I'm much better at the artwork than actually playing FTL, so the balancing often takes a lot of adjustment! I have two more mods with ship images and gibs that I'm fond of (both Federation, one based off the Federation capital ships in the background in The Last Stand) but they're unplayably hard and boring to play, and I never got round to fixing them. I made a ship where in order to reach the Weapons Room you had to cross into an empty room and deliberately get your crew stuck in it. There was no way out at all which was the intention. If it involves your crew having to stop somewhere on the ship, I think they'll get stuck. Not sure if an immediate order to return to their station is considered to be a "stop." I've also experimented with the idea of a ship that has two "levels" where you get stuck on one set of floors and in order to get back to the other "level" you have to cross between those floors. Your best bet is to move Piloting and Sensors back or add some rooms to connect it from above and below so you have your gap for the "drones" part of the hull. Although it will look awkward having those extra rooms seemingly sticking out of the hull. I think a few Vanilla ships do it though. stylesrj wrote: If it involves your crew having to stop somewhere on the ship, I think they'll get stuck. Not sure if an immediate order to return to their station is considered to be a "stop." It does, as one unfortunate Engi found out. stylesrj wrote: I've also experimented with the idea of a ship that has two "levels" where you get stuck on one set of floors and in order to get back to the other "level" you have to cross between those floors. The crew getting stuck in the drone bay was a problem I found in playtesting an older version, where the drone bay was in the path between the doors linking the main ship and the pilot. In the current version, it is impossible for crew to get stuck as there is no way to cross the boundary of the drone room even in transit. Also, have you posted that mod you mentioned making? It sounds interesting to play. Last edited by SentryJumper on Mon Feb 06, 2017 9:22 am, edited 1 time in total.